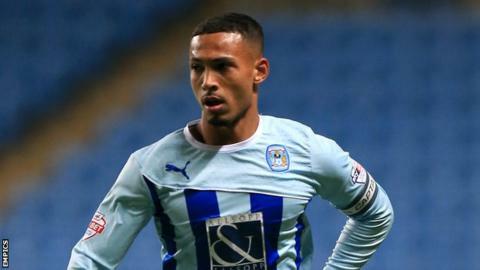 Scunthorpe United have signed defender Jordan Clarke from Coventry City for an undisclosed fee. The 23-year-old, who has agreed a two-and-a-half-year deal with the Iron, scored three goals in seven games during a recent loan spell with Yeovil. He made 144 appearances for the Sky Blues, where he previouslyworked under current Scunthorpe boss Mark Robins. The right-back, a Coventry academy graduate, is a former England Under-19 and Under-20 international.